Eugenio Granell (A Coruña 1912 – Madrid 2001) is according to André Breton’s view, one of the prominent Surrealist painters of the twentieth century. But he began his public life as political revolutionary and musician. After the triumph of Franco he went into exile. He lived in France, Central America and New York. His work is present in the most important contemporary art museums in the world: from MOMA in NY to Reina Sofia in Madrid. From the discovery of 200 musical notes, never disclosed, aCentral Folque, Galician Center for Traditional Music commissioned a new work inspired by those scores to the Cuban maestro Alejandro Vargas. The choice of a Caribbean jazzman and the incorporation of traditional instruments as bagpipes and hurdy-gurdy, responds to Granell’s ideology and work, which is very commited to indigenism and popular music. 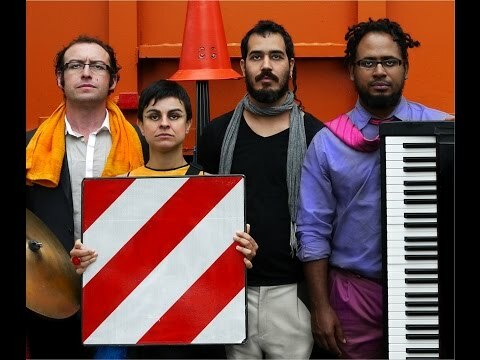 The result is a band consisting of Alejandro Vargas (piano), LAR Legido (drums), José Manuel Diaz (bass)and Mónica de Nut (voice), with the collaboration of bagpipes, hurdy-gurdy and viola. A proposal that goes from Granell’s scores to the jazz and improvisations of Alejandro Vargas. The Artists’ dialogue with the past from the present makes us enjoying it with all senses. Originality, virtuosity and sincerity are their main features.